What's the use of the websites that do not rank on the initial page of the search engine? We provide the best SEO maintenance program which can help your website achieve the topmost positions on various search engines. We offer services such as keyword research reports, SEO optimization, link building program, site review reports, website design etc at a very affordable rate of around $750/month. Most clients have different needs from their goals to their budget, everything varies. Our SEO maintenance program is flexible and we try to incorporate things that are the best for your site. 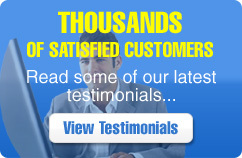 We are among the very few companies that can provided consistent and quality results.